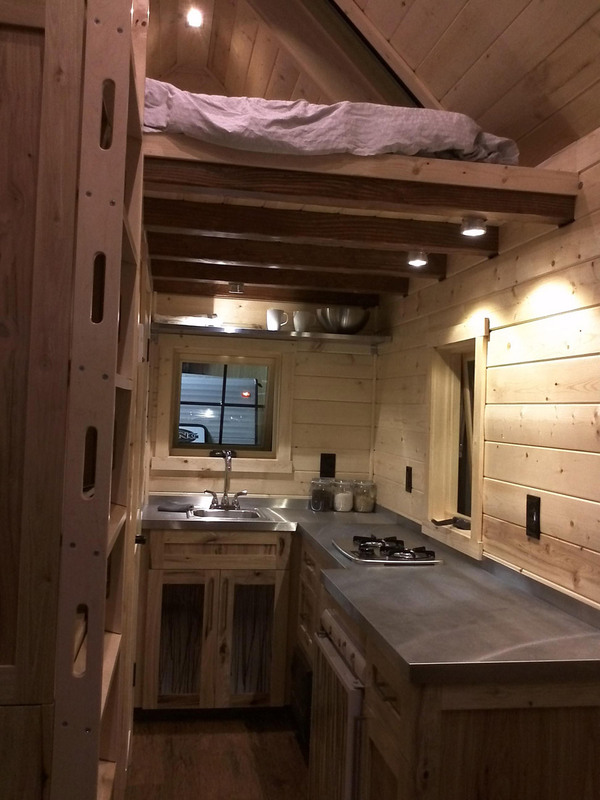 We took ideas from the tiny house movement on the internet, added the qualities of a well-built house, infused it with the all the amenities of a full-service RV, then finished it off with an artistic, rustic flare. 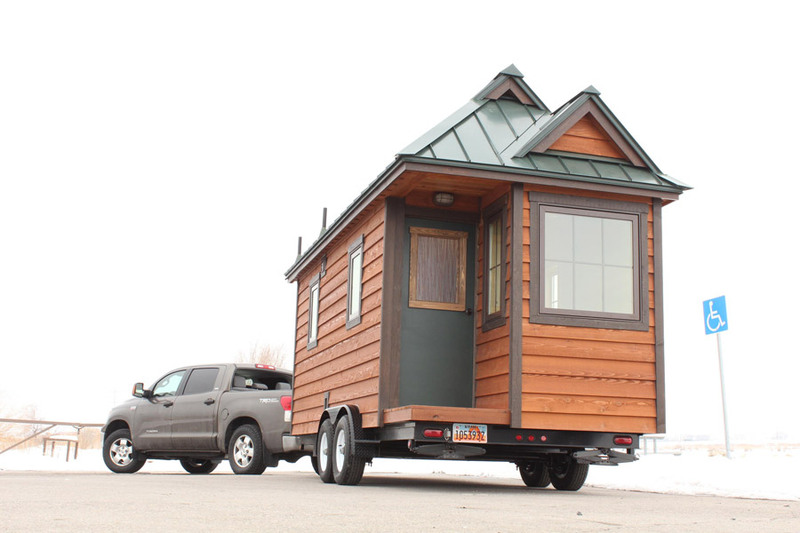 A tiny house on wheels in North Salt Lake, Utah. 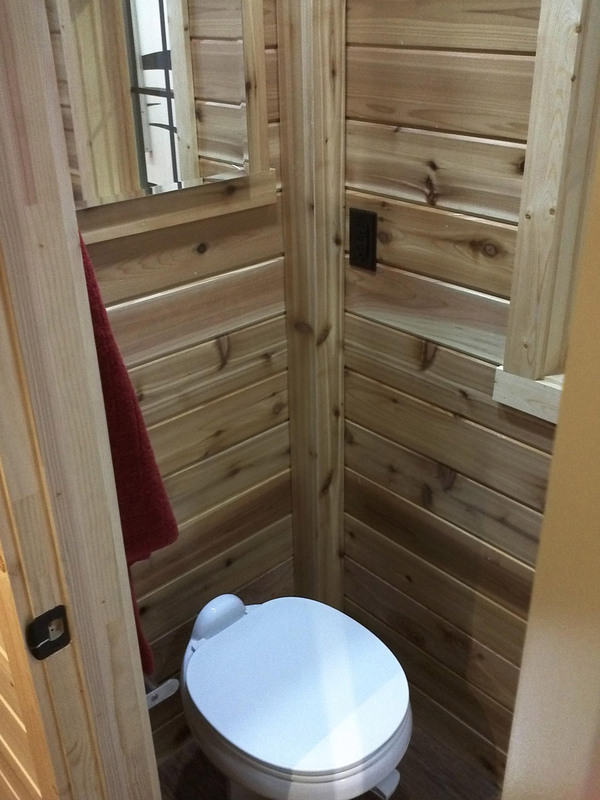 Designed and built by Open Trail Homes. Love it! 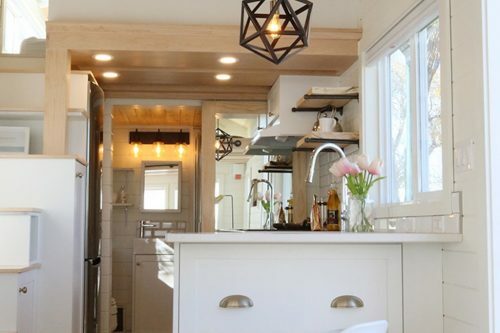 All the woodwork is beautiful. 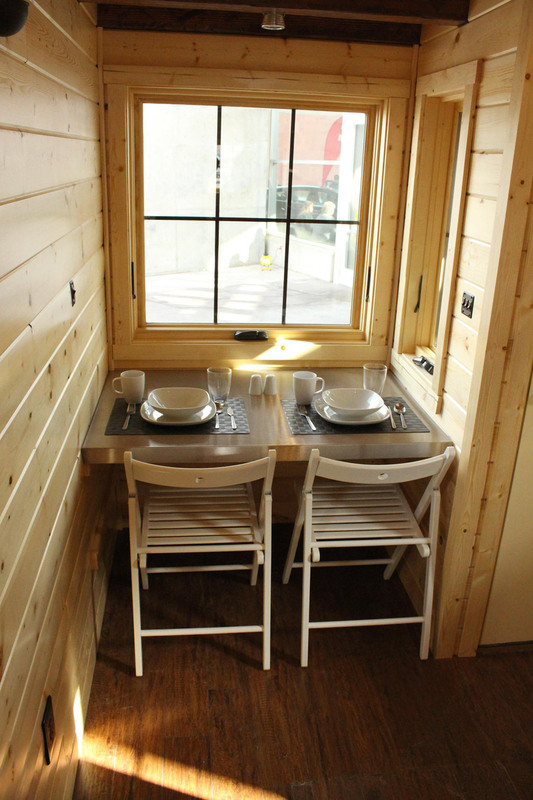 And I like the idea of the table by the window! 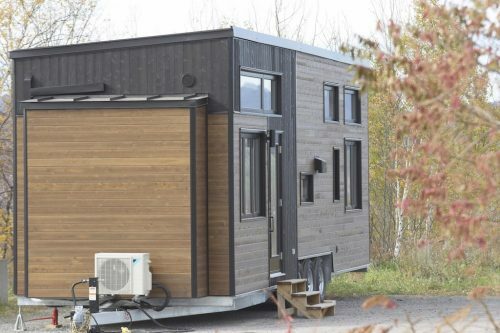 Very eco friendly with such a small foot print. I could envision. 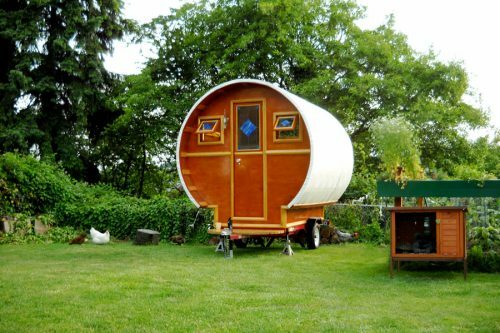 a small roving community in tow with quad’s Moving to Seasonal Home Camps. that is so awesome, i want one! Very cool! 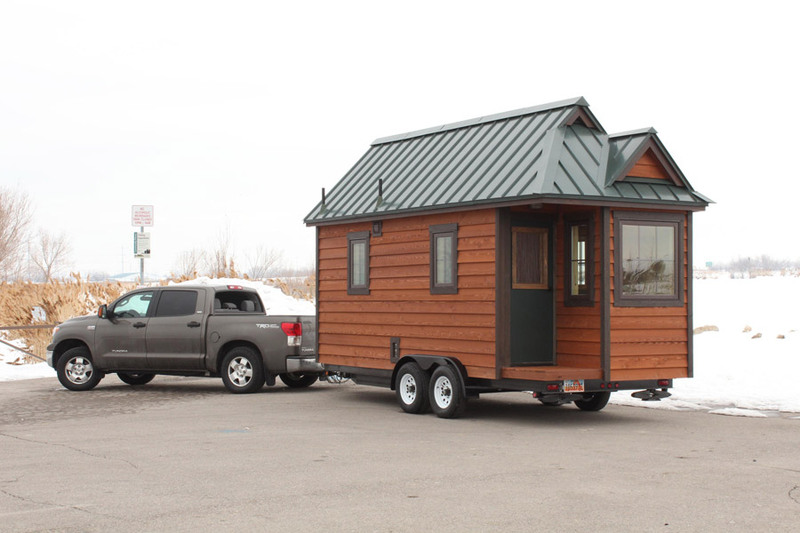 Have House … Will Travel! Great job and great pics, thanks for sharing! wow. 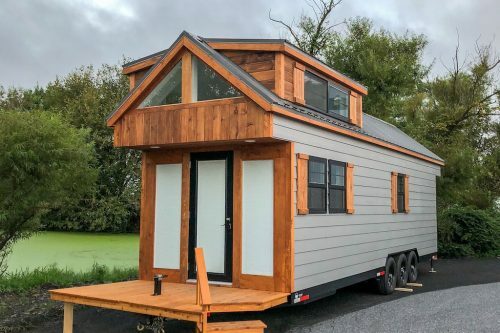 i like the car-house very much. it is so creative! wow! SO WONDERFUL HOUSE! Like it so much! No plasma no sat dish…. No, it is not. 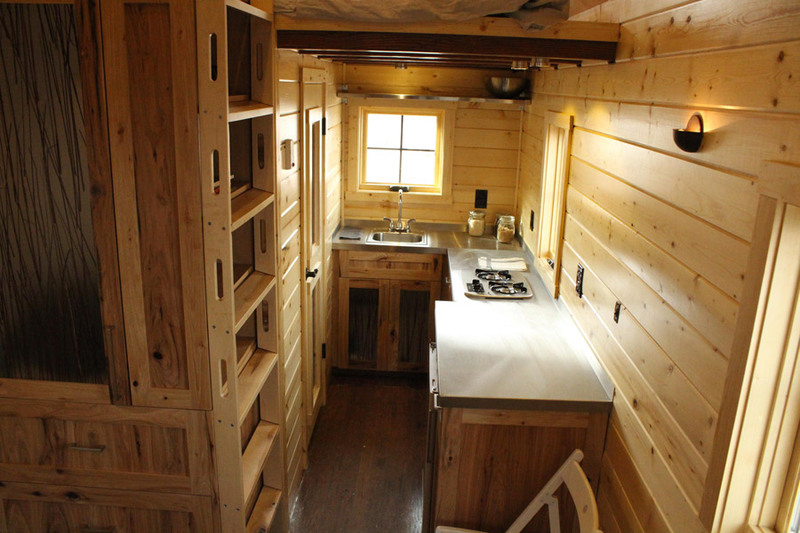 With no permanent water, power, or sewer, it is, at best a heavy, smaller, more expensive RV. Hand built, using non optimized materials. 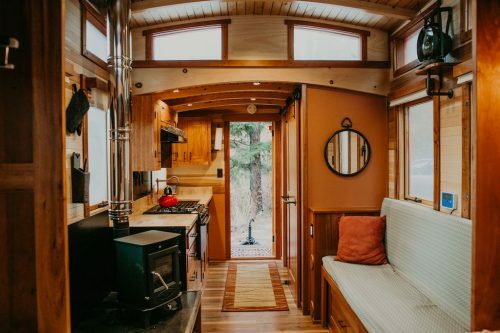 You might prefer the look, but handbuilt means heavier materials and less space in comparison to the same thing coming out of any RV factory. All of you people filled with wonder do know that this is how rvs started, right? We’ve hooked it up semi-permanently. Two of us live here with a large dog. 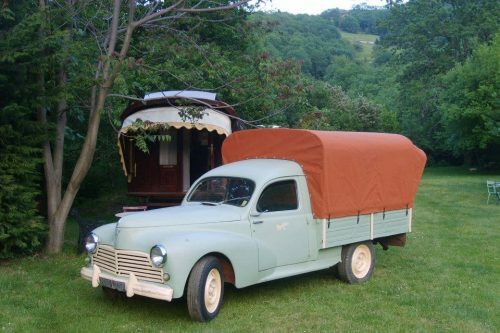 I prefer my caravan, comfier and easy to tow, go anywhere with small car engine, no worries!